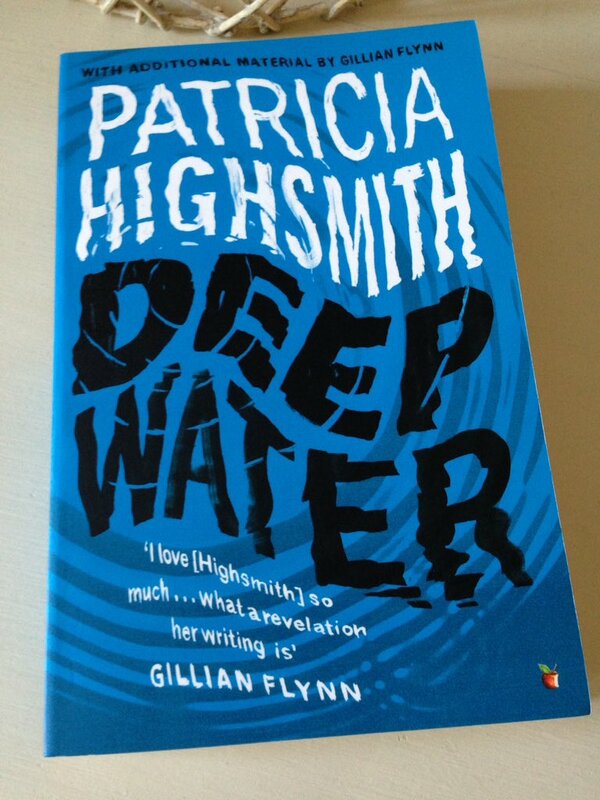 Deep Water is another top-notch novel from Patricia Highsmith, up there with the best of the Ripleys for me. The book was published in 1957, two years after The Talented Mr Ripley with which it shares a focus on the psychological – in other words, the motives that drive certain individuals to behave in very sinister ways. Once again, Highsmith encourages us to side with an outwardly respectable man who secretly harbours psychopathic tendencies. The way she does this is so clever; she knows exactly how her readers will respond to each of her characters, thereby creating a situation where we feel sympathy for a murderer and contempt for the woman who has made his life so difficult. Right from the start, Highsmith lays the blame for this situation firmly at Melinda’s feet. For the past three or four years, Melinda has been seeing a steady sequence of men, flaunting her conquests in Vic’s face by inviting them home in the evenings for copious drinks and some intimate dancing. (Vic rarely dances himself; in fact, he actively abstains from dancing simply because Melinda enjoys it so much.) These soirees often extend late into the night, prompting Vic to stay up as long as possible to keep an eye on Melinda, spoiling the cosy atmosphere she is aiming to create. To make matters worse, Melinda usually manages to wangle an invitation for her latest man whenever the Van Allens are invited to the home of one of their neighbours – a fact that Vic finds particularly infuriating, although he is scrupulous in concealing his true feelings from their mutual friends. In this scene, Joel Nash, Melinda’s current beau, is accompanying Melinda and Vic to a get-together at the Mellers’ house – Horace and Mary Meller are the Van Allens’ closest pals. Every few months or so, Melinda seems to have a new love interest in her life, each one as foolish and ineffectual as the last. Actually, it is their idiotic nature that Vic really takes issue with – well, this and the fact that Melinda makes no secret of her fascination with these men by parading them all over town. Vic himself is a quiet, respectable chap, highly regarded in the town of Little Wesley and well-liked by virtually everyone who knows him. He has time for people, taking care to stop and listen to their preoccupations and concerns – in short, he seems a generous, kind-heartened man, willing to support others wherever possible. His interests are somewhat insular and nerdy, activities such as breeding snails, studying bedbugs, gardening and stargazing; but then again, there’s nothing particularly unusual about this, they’re just innocent hobbies, things he can do without any interference from Melinda. Vic’s real pride and joy is his daughter, Trixie. In fact, he probably spends more time with her than Melinda, playing with the young girl and giving her extra tuition for school – she’s a very bright kid, remarkably well adjusted considering the state of relations between her parents. Melinda, for her part, pays little attention to Trixie, choosing instead to spend her afternoons and evenings in the company of her boyfriends, drinking and dancing and generally making a fool of herself. As a consequence of all this, the Van Allens’ friends – especially their closest allies, the Mellers and the Cowans – feel very sympathetic towards Vic, but less so towards Melinda. They can see all too clearly what Vic has to endure when he is out with Melinda; in fact, it’s a wonder that Vic puts up with it at all, especially considering how long the whole business has been going on. Quite near the beginning of the novel, Vic decides that he’s had enough of the likes of Joel Nash and Ralph Gosden for a while, so he decides to invent a story to scare them off. Vic tells both men, albeit on separate occasions, that he killed one of Melinda’s former lovers, an advertising exec named Malcolm McRae. (A few months earlier, McRae was found dead in his Manhattan apartment, murdered by an unknown assailant; the perpetrator is yet to be identified.) Both Joel and Ralph are visibly unnerved by Vic’s disclosures, and so they back away from Melinda – but Little Wesley is a small place, and word of Vic’s alleged involvement in the McRae case soon starts to spread. Those who know Vic well don’t believe a word of it. They can see exactly what Vic is doing, trying to frighten his wife’s lovers by hinting that he is not the mild-mannered doormat he appears to be. Nevertheless, there are other residents of Little Wesley who are less familiar with Vic, people like Don Wilson for example – recently arrived in town and a little outside of the Van Allens’ circle of friends – who are more suspicious of him, more willing to believe that he might have killed McRae in cold blood. At first, Vic’s actions have the desired effect on Joel and Ralph, and life with Melinda settles down for a bit. The Van Allens even have a fairly pleasant night out together, something that hasn’t happened for years. But then the police catch McRae’s real killer, blowing Vic’s claims out of the water; and before Vic knows it, there’s a new man in Melinda’s life – Charley De Lisle, the piano player at the Chesterfield bar. Vic cannot stand the thought of Melinda dragging De Lisle to various social gatherings in front of their friends; and when the Cowans decide to throw a fancy-dress party at their home, with Charley providing the music for the event, things come to a dramatic head. Deep Water is a truly brilliant thriller – expertly structured and paced, it remains suspenseful right to the very end. There is a sense that something dreadful might happen at any moment, just when the reader is least expecting it. 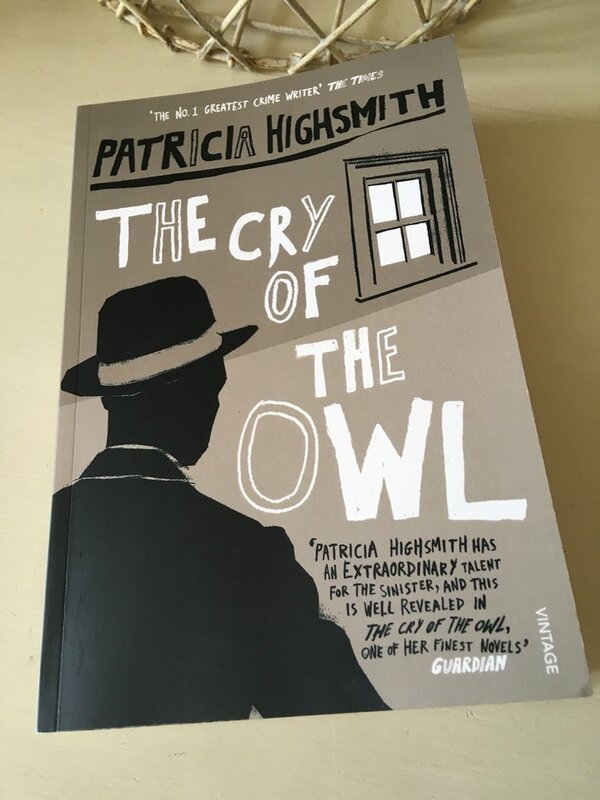 One of the most impressive things about this novel is the way Highsmith draws on the reader’s natural emotions, prompting them to feel a great deal sympathy for an affable, downtrodden man who ultimately goes on to commit a terrible crime. The characterisation is uniformly excellent, from Vic and Melinda, right down to the minor players in the story. For years, Vic has been taking it on the chin from Melinda, calmly turning a blind eye to all her embarrassing antics. To their friends, Vic is a saint, is the model of patience, respectability and integrity; and yet inside he is privately seething, the tensions simmering away. For years he has been playing a game, appearing relaxed and indifferent on the outside, but bristling away on the inside. By contrast, we feel very little compassion for Melinda, largely on account of her outrageous behaviour towards Vic and her abject neglect of Trixie; there are times when she appears unhinged and deranged, especially to some of her closest friends. I’m going to leave it there for fear of revealing anything more about the plot. All I can do is encourage you to read this terrific novel for yourselves – I doubt you’ll regret it. Deep Water is published by Virago Books; personal copy. 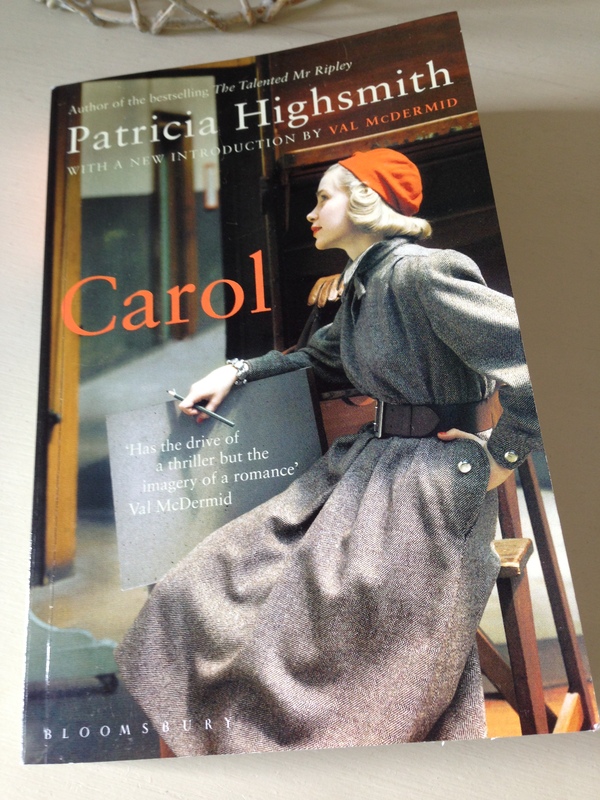 This entry was posted in Book Reviews, Highsmith Patricia and tagged #ReadWomen, Book Review, Crime, Fiction, Patricia Highsmith, US, Virago, Virago Modern Classics on August 22, 2017 by JacquiWine.